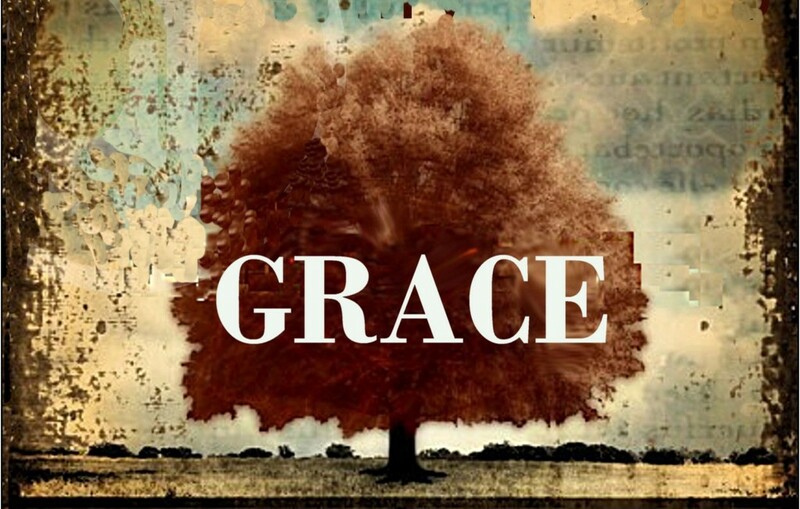 Grace – As believers, we understand that grace is not a physical thing but an abstract concept, which nevertheless exists. It is similar to “love” in this regard. Love is not a thing; it’s an abstract concept that can be manifested. Furthermore, it isn’t a “thing” that is transferred from one person to another but rather is an act that involves a particular way that one person behaves toward another. Biblical love includes the attitude and behavior that always has the best interests of the other person as the priority, even if it costs us something. For this is the message that ye heard from the beginning, that we should love one another….Hereby perceive we the love of God, because he laid down his life for us: and we ought to lay down our lives for the brethren (1 John:3:11,16). Likewise, in biblical Christianity, grace is an act of God in which He bestows a blessing rather than what a person deserves. But not as the offence, so also is the free gift. For if through the offence of one many be dead, much more the grace of God, and the gift by grace, which is by one man, Jesus Christ, hath abounded unto many (Romans:5:15). Now to him that worketh is the reward not reckoned of grace, but of debt (Romans:4:4). 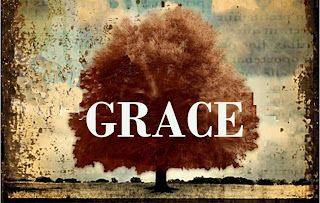 In Roman Catholic theology, however, although grace is an abstract concept, it is also a thing —a thing that can be transferred from God to humans. For such a transfer to take place, there must be a means by which to accomplish this. In this case, grace is literally transferred through the mediation of Mary using primarily the conduit of the sacraments — they confer the grace that they represent. And as a thing, grace, i.e., sanctifying grace, gives and sustains spiritual life in a very literal way—much as food is the vehicle through which the vitamins and minerals needed to sustain physical life are transferred. Sin – The Bible teaches that all humanity has a sin nature. The heart is deceitful above all things, and desperately wicked: who can know it? (Jeremiah:17:9 ). Wherefore, as by one man sin entered into the world, and death by sin; and so death passed upon all men, for that all have sinned (Romans:5:12). But I see another law in my members, warring against the law of my mind, and bringing me into captivity to the law of sin which is in my members (Romans:7:23). And if Christ be in you, the body is dead because of sin; but the Spirit is life because of righteousness (Romans:8:10). But the scripture hath concluded all under sin, that the promise by faith of Jesus Christ might be given to them that believe (Galatians:3:22). Many Christians make the mistake of thinking that “original sin” in Roman Catholic theology equates to and is just a different way of describing the sin nature. This is an utter misconception with eternal consequences. According to the RCC, Adam and Eve were created possessing “sanctifying grace”—which was “something” that was lost when they sinned against God. Likewise, their descendants inherit original sin—but they don’t believe it is something that people are born with. Rather, there is something that people are born without —namely, sanctifying grace. Therefore, the solution to the original sin problem is to transfer sanctifying grace back into the soul—which takes place through the vehicle of the sacraments, the first of which is the sacrament of baptism. This is why the baptism of infants makes perfect sense within Catholic theology. Interestingly, this meshes perfectly with Augustine’s theology that we aren’t inherently evil; we simply lack sanctifying grace—a problem that is easily solved through receiving the sacraments. Unfortunately for the Catholic, over time sanctifying grace diminishes—and can be partially lost (through venial sin) or completely lost (through mortal sin). And it is this matter of venial and mortal sin that reveals one of the most tragic aspects of Catholic theology. We understand that the Bible teaches that although sins have varying degrees of consequences, any and every sin makes us sinners before a holy God and unfit for heaven. Yet, the Bible also teaches that we are cleansed and forgiven of every sin the moment we trust in Christ for salvation. In contrast, Catholic theology teaches that although Christ’s death made salvation possible, it is up to each individual to earn the right to enter heaven. Those who die with only venial sin on their soul must spend time in the fires of purgatory, literally paying the penalty for their own sins, after which they will eventually make it to heaven. However, if someone dies with a mortal sin on their soul, meaning they have lost all sanctifying grace, they will spend eternity in hell. But it gets worse—no one (not even the pope) can tell you whether or not a sin is a venial or mortal sin. There is no list. It depends not only on the seriousness of the sin but upon a number of other factors, including the circumstances and attitude at the time the sin was committed. And in fact, no one can know until after they die which were which. This is why Catholics are slaves to the sacramental system and why they can have no assurance (which the Bible provides) of eternal salvation by grace through faith in Christ alone.